Ocean Springs is a charming city in Mississippi, was the hometown of the late Walter Inglis Anderson, a nationally renowned painter and muralist. 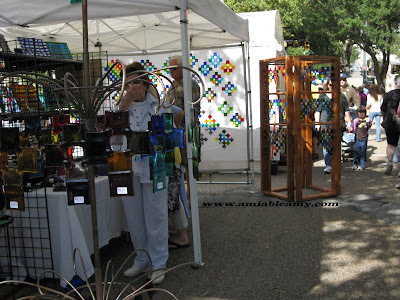 This place hosts to several festivals and that includes the Peter Anderson Festival. 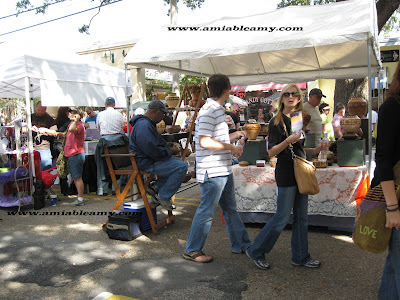 These pictures were taken during the Peter Anderson Festival in Ocean Springs, Mississippi. 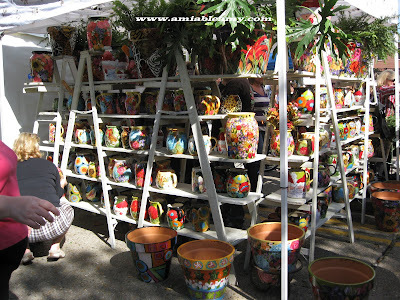 This festival features the local artists and display their artwork, special unique decor, wood carvings and more. The prices of the products are affordable with world class quality. This town is full of charm and happy people. The community is very supportive to every events and festivals. 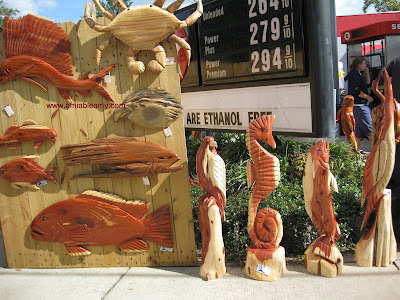 Here is an artwork area that I love in fact, hubby bought wood carvings of birds. 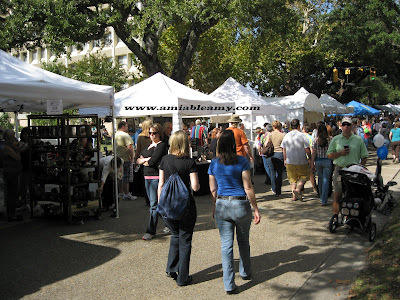 Peter Anderson Festival is the most celebrated event for Arts and Crafts in the Mississippi Gulf Coast. 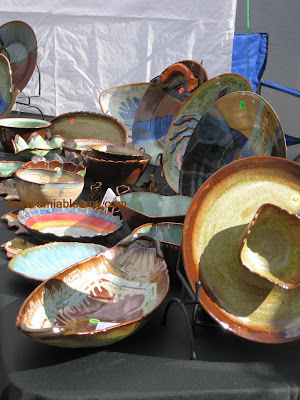 This event is showcasing and giving honor to all the local painters, potters, and craft makers. There are so many amazing art exhibit, food booths (my favorite), and there are live bands that stimulate the crowds in jolly shopping mood. There are downtown seated dining (sort of Night cafe' in Cagayan de Oro City) and lots and lots of delicious food. 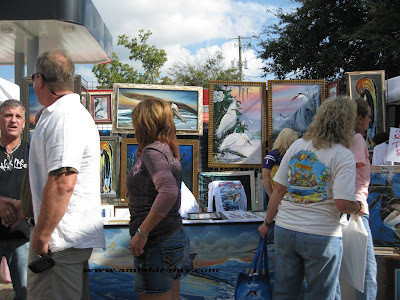 People who came to this festival did not only window shop but, they came here to buy the art work. I took a video but, can't find it in my folder. It would be nice to watch video online right? The picture below is my favorite art work. Oh you should check out the artist, he is just talented. 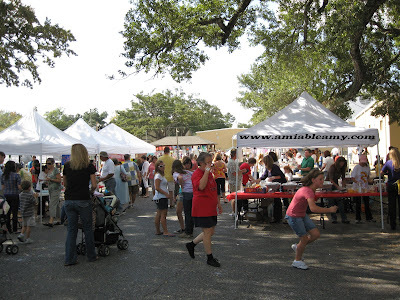 Visit Ocean Springs and better check out the schedule of Peter Anderson Festival this year. 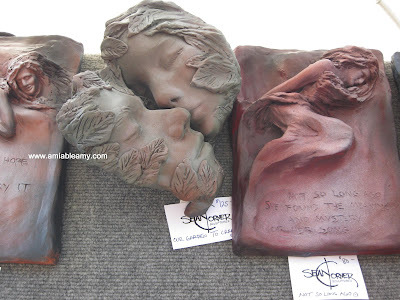 If you collect art work, you will surely enjoy this festival.